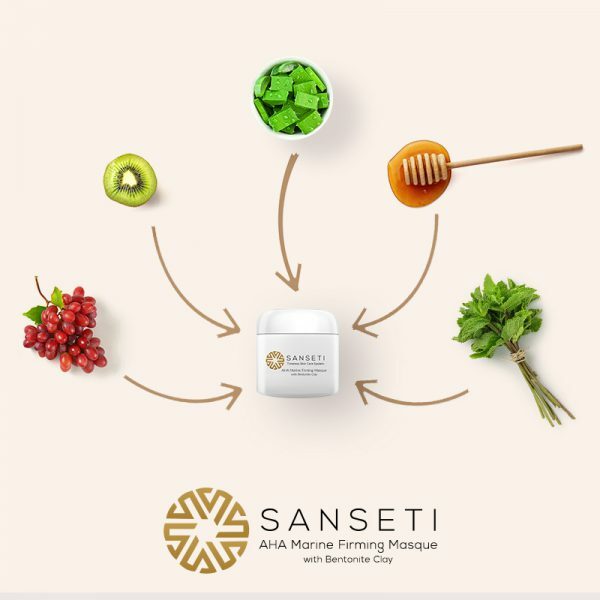 The AHA Marine Firming Masque with Bentonite Clay by Sanseti is an amazing blend of natural ingredients that are combined together to create a rejuvenating masque. It stimulates the skin to shed and the clay works to absorb dead cells to pull them away from the face. This masque is a great centerpiece for a weekend afternoon “spa day” at home, or as part of a weekly night time routine before a stressful Monday. From the Bentonite Clay to the Sea Kelp, the Aloe Vera to the Kiwi, Grape, and Honey Extracts, our formula achieves the goals that nature intended these ingredients to achieve. Each ingredient, individually, has been found to do amazing things for our skin, and combining them together enhances what each of them can do. 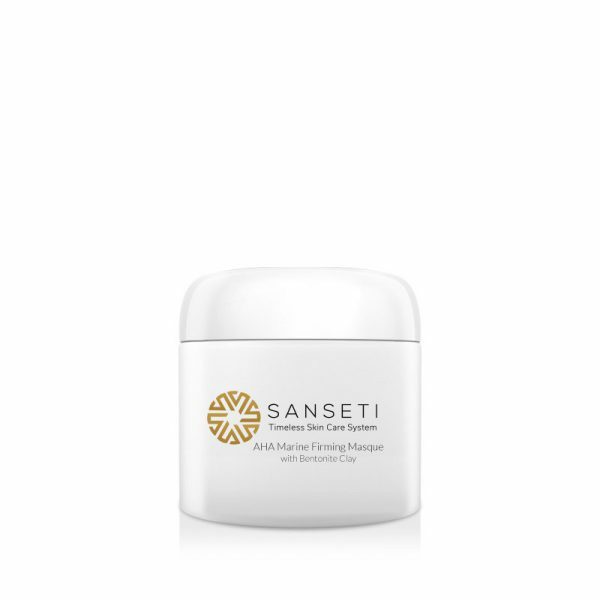 The AHA Marine Firming Masque with Bentonite Clay by Sanseti will make your pores look smaller, give your skin a softer feel, and improve the firmness of your skin. This masque is perfect for home or travel as is the perfect size for your medicine cabinet or an overnight bag. There are a lot of masques out there on the market, but this one will help deliver the results that you expect in a high-quality skin care masque. This is one skin care product that is not going to disappoint. Sanseti’s AHA Marine Firming Masque with Bentonite Clay easily pairs with all Sanseti products – but we suggest pairing it with our Essential Anti-Puff Eye Gel with CoQ10 & Peptides and Advanced Peptide Serum with Natural Extracts. I tried to find a mask that would not break out my skin. I heard about Sanseti’s use of natural ingredients. Their masque with the bentonite clay was like a lifeboat in my sea of anguish. If you need the perfect firming masque, look no further. 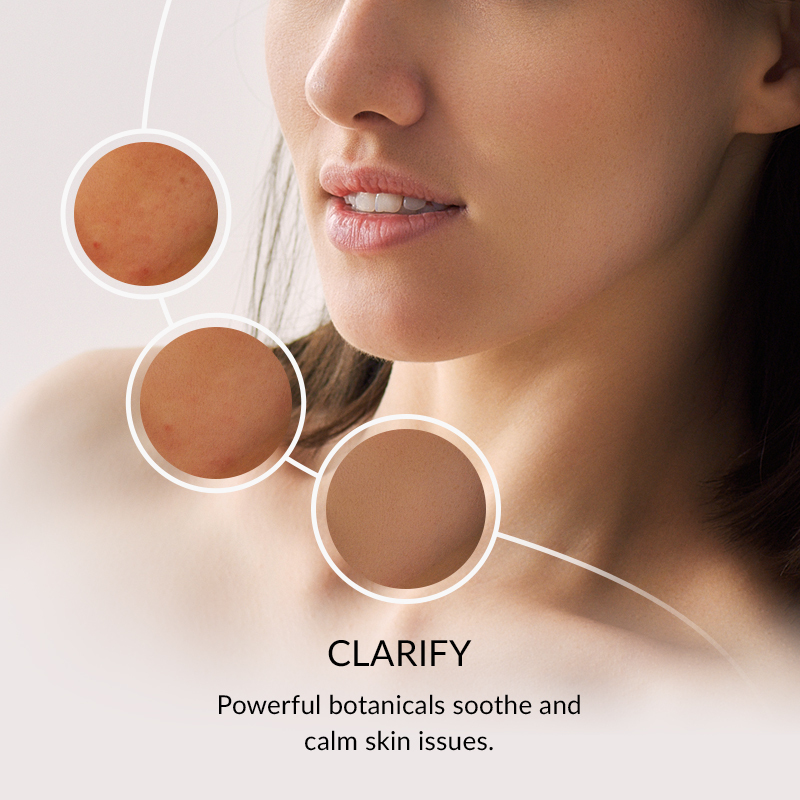 Sanseti’s masque will leave your skin soft and beautiful, without reacting adversely with your skin. I am super happy with mine. You will be too. I only recently considered using facial masks, and with sensitive skin, I wasn’t sure where to start. I discovered Sanseti’s mask, it made me look younger and made my face feel so healthy. If you have scar tissue, then I recommend the Bentonite Clay Masque by Sanseti. I had a scar on my face from a minor injury, but after using the mask for serval weeks, the scar is becomming less noticeable. I started to hate skin care products until I found this mask. I have seen dramatic changes in my face. It’s softer and less wrinkled. It just plain looks healthier, and I’ve never been happier. Folks, give this mask a chance. The results that you will see from using it will make you throw away all of your old products. 🙂 You will never want to use anything else on your face ever again! I bought this mask recently, and I’ll admit that the jar was small. However, I discovered that you don’t need a lot of this for a full application. A little goes a long way. Better yet, it works! You don’t need to spend a fortune on a jar of mud for a mask. Get Sanseti’s. This mask works for many types of skin. It also works on sensitive skin. Thanks, Sanseti. This mask is the best. I know others have sensitive skin as I do, so I feel like I’m doing them a service by recommending this product. It will clean, soften and lift your skin with no issues or reactions. Most guys don’t use facial masks, but I have nothing against it. My wife bought this one and she couldn’t stop talking about it. So I tried it. I was really surprised at how healthy my face looked. If you want healthier skin and a younger “looking” face, then please don’t hesitate to go buy this jar of facial mask. It took years off of my face in record time. This mask will surely wow you. I searched the internet to find this mask, and I love it immensely. I got really good value when I bought this. It was money well spent. I will only use Sanseti’s products from now on. Sanseti is an amazing company. The products are first-rate, and they really take care of their customers. For example, this mask made my face look and feel amazing. Well done!! This masque is now a solid part of my weekly routine. I love curing the sunday scaries by having a relaxing evening pampering myself! I know I got this as the free gift in the 5-step kit, but it’s certainly one of my favorites. Thanks for throwing this one in the box Sanseti! I am so happy with my face since I got this mask. I bought it 2 weeks ago and I already see an amazing difference in my skin. I’m only using it twice a week. I don’t even know where to start because this product has done a lot. It is my first time using a firming masque; I used other products for my face. The marine masque has made me fall in love with my new routine. What a wonderful masque! I can’t imagine it has only been a few weeks I don’t have fine lines on my face. I never thought this was possible until I used AHA marine firming masque. I need another bottle. I have been using this mask for a few months. It is so good that I can’t help but recommend it to anyone and everyone. You won’t believe what it will do for your skin. I work at a dusty place. Most if the time, my pores are clogged when I get home and it makes me feel uncomfortable. By using this masque once a week, I have managed to keep my face glowing. I can’t thank Sanseti enough for this firming masque. My skin behaves weird, sometimes oily, sometimes dry, and sometimes normal. This masque has helped me keep the facial skin moist and tight for a young look. I am in love with it! My cheeks had started sagging. While it was just a little sagging, it made me uncomfortable. When I saw what this firming masque had done on my friend’s face, I went for it. Now my sagging cheeks are tight again. I felt elated when a friend recommended this product because I have been searching for a good masque for years. The marine masque is so gentle on my sensitive skin; I apply it twice a week without any irritation or harshness. You have to get this facial mask if you want to have the great skin that you have always wanted. Forget other products. I’ve seen and used them all, and nothing comes close to Sanseti. Great job! I’ve always enjoyed using masques but most of the ones I was using were not working on my face. The last one was so harsh it left my skin with awful spots. AHA marine firming masque has brought back my love for facial masques. Weirdly, I never knew I needed a firming masque. I have always avoided excess facial beauty routines because my face is fairly good to begin with. However, after using this product, I just realized just how much i love masques. My face has improved significantly; it’s now smoother and glowing. This mask works extremely well and for any skin type. Don’t worry if you have sensitive skin too. These products are made with natural ingredients, so they shouldn’t cause a reaction. You won’t regret it! I bought this mask for my daughter as a gift. After seeing what it did for her skin, I got one for myself. I wonder why I didn’t look for this product sooner. I love it! This mask has boosted my confidence through the roof. I am in constant contact with a lot of people so I always need to look like a million bucks lol. This mask helps me make it happen. With this mask, you can look like you received a spa treatment, without paying a spa price. I’m not exaggerating. I was literally shocked to see my face after I rinsed off the mask. Though I’m a guy, I appreciate the benefits of skin care. I used this mask just as a joke, but when I saw the reality afterward, it was no longer a joke. I get ribbed sometimes, but it’s okay. I want to thank Sanseti for creating such an amazing facial mask. I am so glad that I discovered it. This mask has performed far beyond my expectations, and I will always use it. It’s such a relief not to worry about my skin. Buying this facial mask was such a wise investment. I know my skin looks better and better every day. Even better, I know that my skin is healthier. 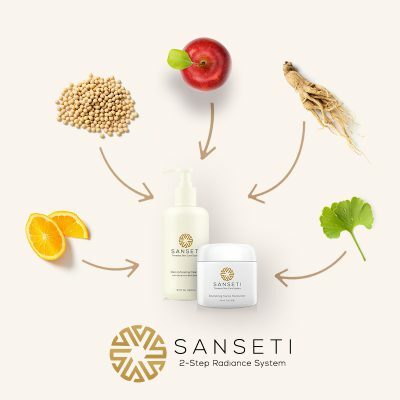 I know that because I am using the Sanseti 5-Step Skin Essentials Kit, my face is going to be refreshed and glowing every day. I’ll say it plainly – you need to try this mask! This review is not for my own self-gratification. 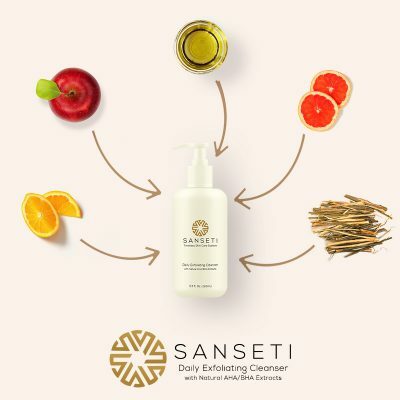 I want other people to benefit from Sanseti’s products too. You will not regret buying it. My wrinkles are gone. My scar tissue is less pronounced. I look years younger. What more recommendation do you need? If you want these things, go to Sanseti and get this mask today. With the AHA Marine Firming Masque, I no longer need a facial scrub. It works great in breaking down the dead skin on my face to leave me looking smooth and attractive. I have had small pimples on my face for two years now. My dermatologist said I needed to exfoliate and keep my face clean. I found this product and my face is fast changing. Some pimples started forming on my forehead a few months ago. I needed to cleanse my skin but I don’t like facial scrubs. The Marine Firming Masque and it helped me get rid of them. I had a simple accident last year that left my face scarred. My sister recommended the Marine Firming Masque to reduce the scars and the black spots. The product is doing an amazing work. I had a small wound on my neck and I didn’t want to use just any beauty product. I used Marine Firming Masque and it helped me heal fast and reduce the scar size. I don’t know how they do it, but it magically reduced my wrinkles. I used to feel old, now I’m enjoying a young feel and look. The wrinkles are not concealed, they are pretty much unnoticable though. My chin used to sag before I found the Marine Firming Masque. I have been applying it twice a day and the results are impressive. Besides my chin, the skin on other body parts glows. I was doing my research online for a moisturizing kit when I found this one. It is moisturizing, yes, but it has many more benefits too which is why I feel in love with it. My skin used to feel tough. This product has made my skin soft and a little elastic, which feels great. I have ordered the Marine Firming Masque five times now. I don’t regret ever coming across it because it is a great product. My skin sags in a few areas but this product has helped big time. I have had beauty products that needed to be used every day to be effective. However, with the Marine Firming Masque, I only apply it once a week and my face glows throughout. I thought this masque will leave my face itchy like most of the products I’ve used to cleanse my face. However, it was very mild even after sitting on face for 15 minutes. Using this masque feels therapeutic, like undergoning a facial and scalp massage. It leaves my skin feeling fresh and free. I’m also madly in love with its ease of use! I got a set for my wife and daughter and they love it. I have used it once and it opened up my pores to a whole new level. My wife can’t stop praising it. I’m surprised that I only learned of this great product a few weeks ago yet it has a whole load of positive reviews online. The masque works better than most products I have used before. I didn’t believe my friend when she recommended this masque so I decided to try hers. After using it during a girls night, I had to purchase my own set. I haven’t liked a masque the way I do this one. If you haven’t used the Marine Firming Masque, I would recommend you use it. It brought out my natural beauty so I don’t have to keep on applying make-up when going out. What else would I need in a beauty routine? I have this masque to cleanse, smoothen, and soften my face. Since I bought it, I use it twice a week and it works wonders. I have used Sanseti products before and when I saw the Marine Firming Masque, I knew it will be a great product. I have used it for a while now and the results are impressive. Sanseti has done it again! I don’t know when this product was launched but I am in love it with. It soothes my skin especially after I’ve been standing in the sun for so long. By far the best facial mask I have ever purchased. I didn’t make me break out and left my skin soft and beautiful after using it. This masque is phenomenal, makes my pores appear smaller after using it. This jar really goes a long way. I loved receiving it as a free gift in my larger package! Thanks Sanseti! This is the perfect size bottle for traveling! I love relaxing with a face mask before work dinners. Makes me feel so fresh! How great is this product! When I washed the mask off, I noticed that it didn’t turn my skin red like many otheres that I have tried! I also noticed right away that my face was as smooth as can be, I’m loving this product and would suggest it to anyone. This might be the best masque I have EVER put on my face. The results are AMAZING! My skin is very dry and sensitive, so at first I was skeptical of using any product like this. After reading the reviews, I decided to give it a shot and I’m so glad I did! I sponge it off gently with a wash cloth and my skin is literally GLOWING! I am obsessed with this masque! Seriously, obsessed. I just love it, simple as that! At first I was a bit nervous because ou can feel it working as soon as it touches your skin, but it really works. My skin feels amazing. Whenever, I use this masque before going to bed, my face looks even better the next morning… soft, supple, glowing, and refreshed! Highly recommend to anyone lookin for a good face masque to use. I must admit that I was a little skeptical about the product before I tried it. I have not had much luck with face makes in the past. This one though, has proven to be beneficial to my skin. I knew it was doing something with the first applicaion. Rinsed my face off and it felt so smooth. I received this as a free product in the larger package I bought. It was a nice surprise! I have never used a facial masque before and wasn’t sure what to expect. I did my first application last night. After drying my face, it felt very smooth. This morning after working out at the gym, my face still felt as smooth as it did last night. I love masks and have tried what feels like ALL of them – this one is my current FAV! Usually not the “mask” type— always thought it was silly, but once I rinsed the mask off I wasn’t laughing, I was smiling. My skin was so smooth and bright. This firming masque is really amazing. I could feel the difference in my skin after one use, not only did my skin feel better, but my face looked brighter. I washed my face and applied this masque. After 20 minutes I got in the shower to wash it off. I really couldn’t believe how soft my skin felt after I got out the shower. I am really impressed and would definitely recommend this. I have combination skin, some blackheads, and dark spots, so I was looking for a mask that would work on all three of those problems. 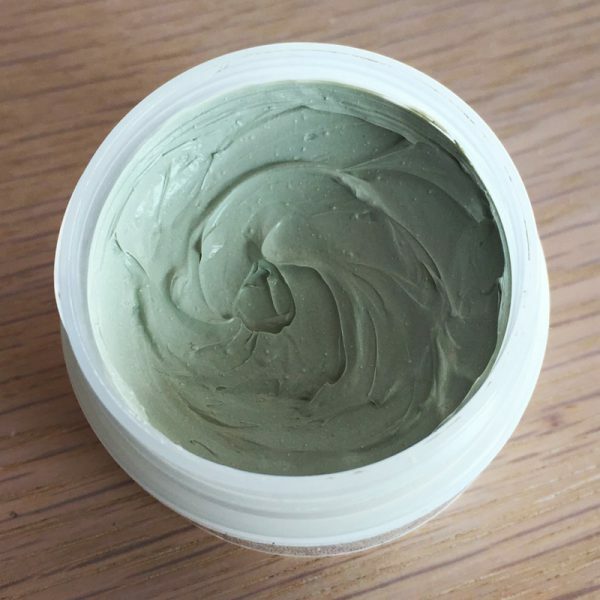 It deeps cleanses oily skin like any good mask, but it does so much more. My skin tone is even more brighter, more radiant, and my skin is smooth. I got this product for free in my first kit order! I loved it so much I bought a new one when I ran out. I love to treat myself to this masque every once in a while. It’s great to relax, wait and take it off to reveal my smooth, radiant skin. I have tried a few facial masks trying to hunt down the right one. I use this masque twice a week and this is the best one I have tried.